If you’re just getting started in ecommerce, you’ve likely already decided on the name of your business, how you are going to market products to the public and manage your inventory. Or, maybe you’ve been selling on a website or single channel, and are ready to take your business to the next level. In either scenario, you’re likely wondering where to sell your products next. While a shopping cart allows you to freely advertise and customize the website how you wish, it also comes with the responsibility of organically growing traffic to your site and building an audience over time. While we think ecommerce businesses should eventually open a website to help establish their brand, selling on major marketplaces is a great place to start building your empire. For a small monthly fee, online marketplaces allow you to get exposed to millions of consumers who will trust your brand because of the authority tied to the marketplace. To help you chose where to sell next, here are some of the top marketplaces in the industry, and why they work for your business. Founded in 2005, this New York based online market is great for sellers who hand make their own products or sell vintages items or craft supplies. With an active buyer population of over 22 million and overall gross sales reaching 1.93 billion dollars, this site is a great place to get exposed to a large number of niche market buyers. Buyers come here to find creative, one-of-a-kind pieces that are unique, quirky and out of the box. So if you specialize in off-the-cuff items handmade with love, Etsy is the place for you. This auction site giant is great for online businesses trying to sell anything from collectable stamps to high priced electronics. EBay has amazing foot traffic and currently boasts over 149 million buyers from around the world. EBay is also ideal for new sellers who are as not as tech-savvy (meaning you don’t need a degree in systems ops to figure out how to work the site). According to cio.com, “eBay’s easy-to-use selling, listing and inventory tools make it easy to sell your products on the site — and do it quickly.” If you sell vintage items, collectibles or electronics, eBay is a great place to grow your customer base and win more sales. Initially started as an online bookstore in 1995, Amazon has grown into a one of the largest online marketplaces. Amazon has an active user base of over 240 million people, and is consistently ranked among the most visited websites around the world. When selling on the behemoth marketplace, retailers have a great opportunity to capitalize on the heavy traffic and earn better sales. Studies have shown that Amazon has over 4 times as many sellers who make a million dollars in sales as compared to competitors like eBay. Products that tend to do well on Amazon are new, manufactured goods from a variety of categories. The Sears marketplace is impressive, with over 10 million products currently listed for sale. Sears offers its sellers a fulfillment service (similar to FBA) where they will pick, pack and ship items from their warehouse. Because Sears is a household name, buyers tend to feel confident shopping from the Sears marketplace. Like Sears’s brick and mortar stores, the items you most commonly find on Sears.com are appliances, clothing, electronics and toys. For more information on how to become a Sears Marketplace retailer, click here. 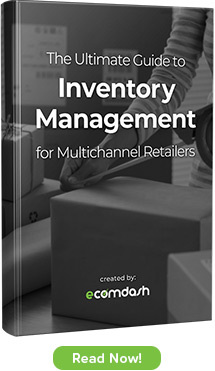 As you grow your ecommerce business to new marketplaces, it can become overwhelming trying to manage inventory and operation across channels. Ecomdash helps you manage your inventory, shipping, purchasing and supplier manager needs with our smart multichannel software. Streamline operations and grow with ease – try us for free with our 15-day trail.